AUGUSTA, Maine — Democrats who hold a majority on the Legislature’s Health and Human Services Committee voted on Wednesday to reject a bill from Gov. 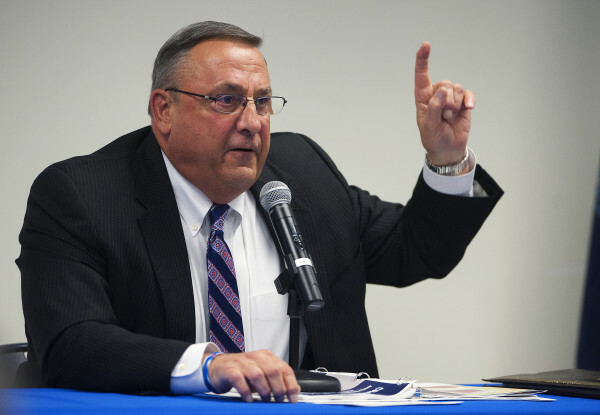 Paul LePage to drug test everyone who receives cash benefits in the Temporary Assistance for Needy Families program. The 6-5 party-line vote means the bill is likely to spur debate on the floor of the House, especially since this bill, LD 1407, represents a priority voiced by LePage for more than a year. Democrats’ unanimous rejection of it on the committee level could mean that they will hold their caucus together to defeat the bill in the House. However, if the success of a weaker version of this bill that passed in 2011 with bipartisan support is any indication, LePage’s bill could see success despite Wednesday’s committee vote against it. The bill would require any applicant to the TANF program — regardless of whether they have any kind of criminal record related to drugs — to undergo a written, 93-question screening test and then, depending on the results, a urine test. It also would allow the Department of Health and Human Services to bar anyone with a felony drug conviction from both the TANF program and Supplemental Nutrition Assistance Program. While the Democrats’ vote was an attempt to kill the bill, Republicans supported an amendment by Rep. Deborah Sanderson, R-Chelsea, who sponsored the bill on behalf of the governor. Instead of denying TANF benefits to anyone with a past felony drug crime conviction, as LePage proposed, Sanderson’s amendment would have allowed those people to go through the same written screening and urinalysis process proposed for everyone else in a bid to maintain or receive TANF benefits. “I really don’t think it’s fair to penalize them just because they did something stupid when they were in their 20s,” said Sanderson. Among Democrats’ arguments were questions whether the program is constitutional and whether it would harshly affect the children and families of people with drug problems. Gattine and others cited data from ThinkProgress that show other states have spent huge amounts of money and achieved small-scale results and that welfare applicants actually test positive at a lower rate than the general population. Bennett said this bill is about trying to funnel the state’s limited resources to the most vulnerable. “Democrats believe a certain amount of welfare fraud and abuse is okay, but every dollar wasted on drugs is one less dollar that goes to a need child, elderly person or someone with physical or intellectual disabilities,” said Bennett in a written statement. Based on the 2011 law, DHHS has already been administering written screening tests on TANF participants with prior drug convictions. Wednesday’s committee hearing was the first time the scope of that testing was revealed. According to Beth Hamm, director of DHHS’s Office of Family Independence, 25 TANF recipients were identified as having a prior felony drug conviction. Nineteen of those people left the TANF program for various reasons — such as securing a job or having their income pass thresholds for the program — before they could begin the testing and screening process. Of the six remaining people, four have been rejected from the TANF program because they did not show up for their written screening or urinalysis. Two achieved satisfactory written screening results that indicated their drug problems have ended.